No matter how tightly you control your network, you probably allow DNS queries and UDP/53 traffic on your network. Bad actors can abuse this to establish a stealthy command & control (C2) channel and/or exfiltrate data using DNS tunneling. 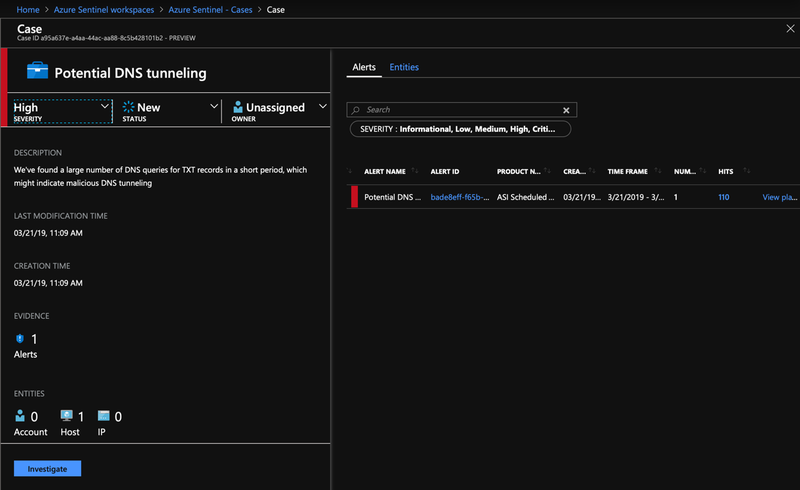 Azure Sentinel can help detect these types of attacks, and provide insights in the various stages of the kill chain of this attacker. 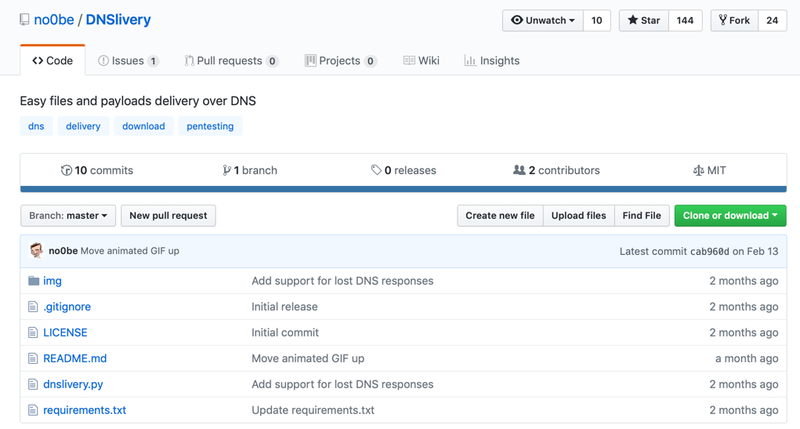 Samy Baiwir recently published a project on GitHub called DNSlivery that aims to deliver payloads over DNS. It is a lightweight solution built on Python and the Scapy library. 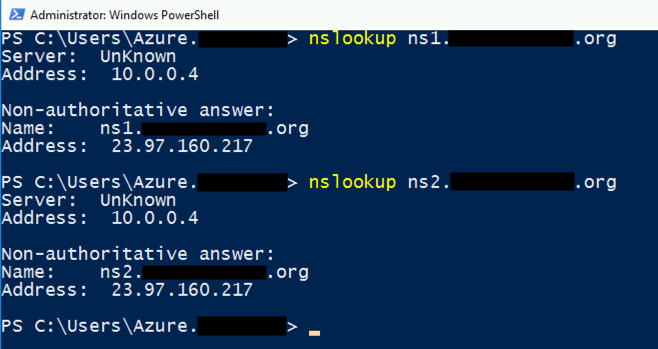 How is DNSlivery different from for instance PowerDNS? 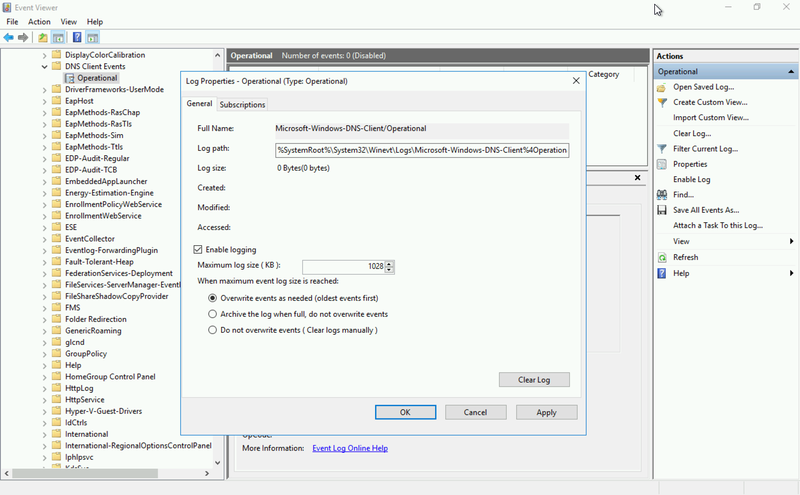 With DNSlivery there is no need for a client on the target, you can just use native PowerShell in the operating system. “Even though more complete DNS tunneling tools already exist (fi: dnscat2 and iodine), they all require to run a dedicated client on the target. The problem is that there is probably no other way then DNS to deliver the client in such restricted environments. In other words, building a DNS communication channel with these tools require to already have a DNS communication channel. You will of course need a domain name and be able to change and administer the NS records. Point the NS record(s) to the external IP of the machine you’ll be using for this. To set up the rogue DNS server itself you need a Linux operating system instance. You will also need Python3 and the right version of the Scapy library (v2.4.0). 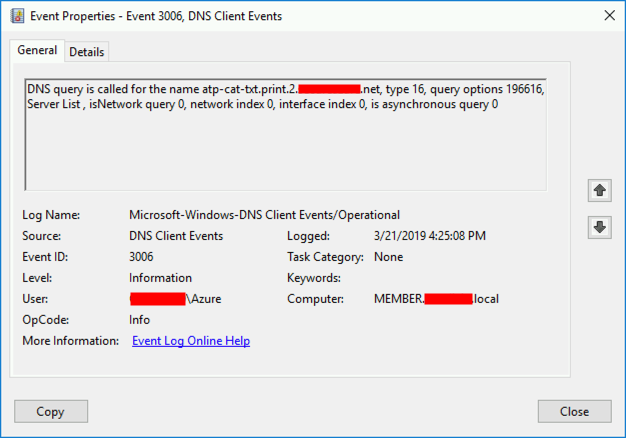 Create a directory on disk that has the file that contains the payload you want to serve over DNS. 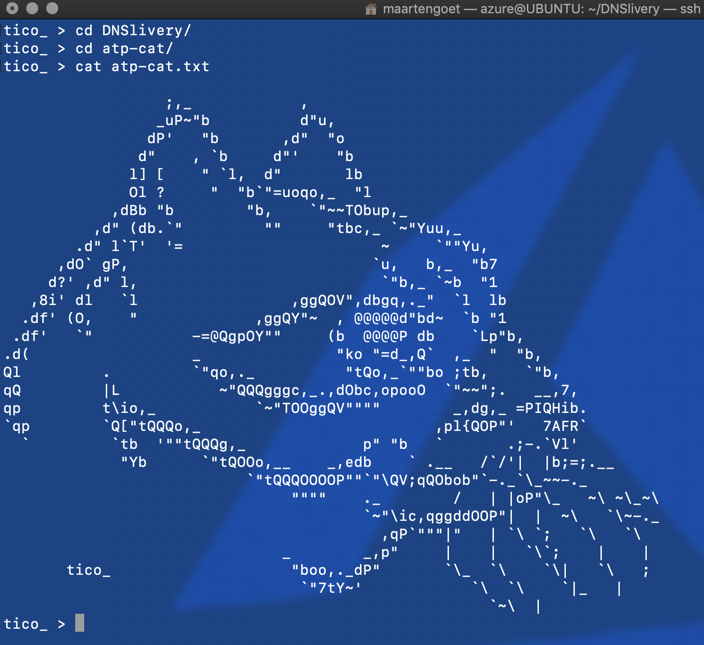 In this sample we’ll be serving “atp-cat.txt” with an ASCII picture of ATP cat. As mentioned earlier, DNSlivery is different from other solutions in that it does not require a dedicated client. 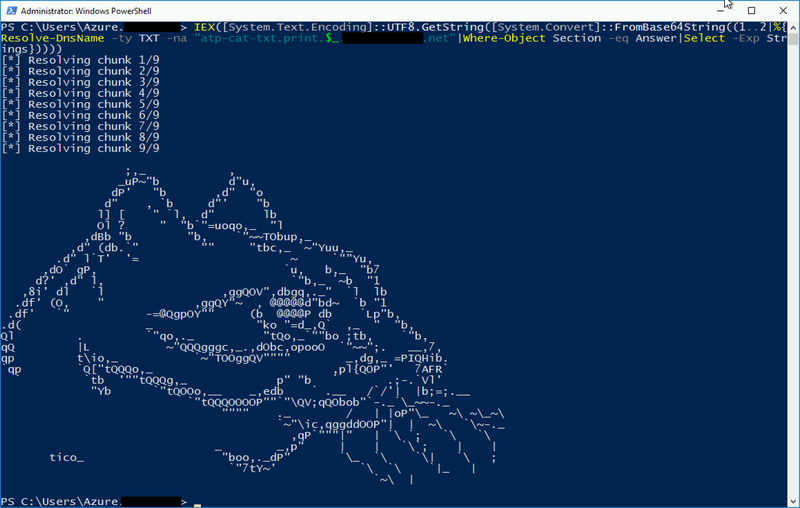 The content can be consumed by Powershell out of the box. How can I defend against these types of attacks? 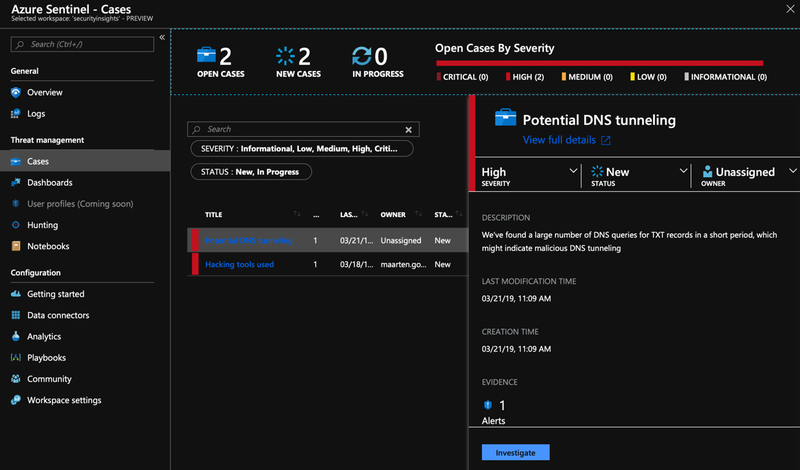 While most companies will have some form of network security solution in place that might already trigger on these types of attacks, Azure Sentinel can also play a role in detecting this malicious intent. 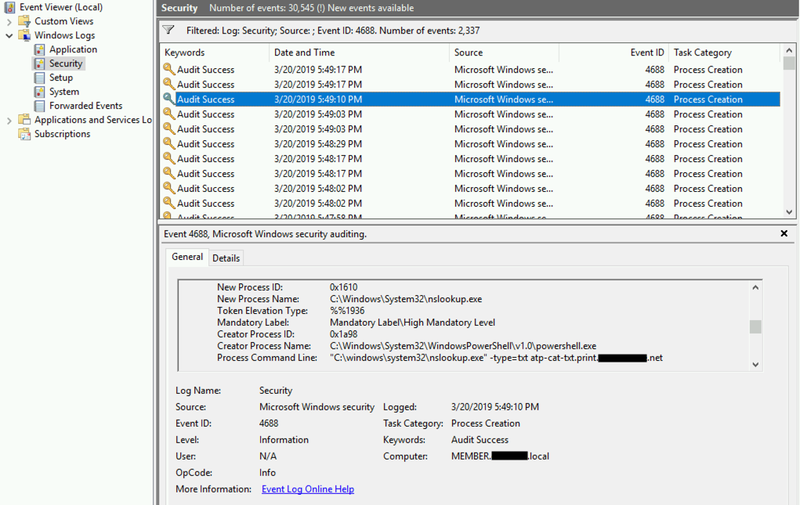 When we dig further, there is no logged event in the Windows security eventlog on the next stage of the attack that receives the multi-part base64 encoded payload. 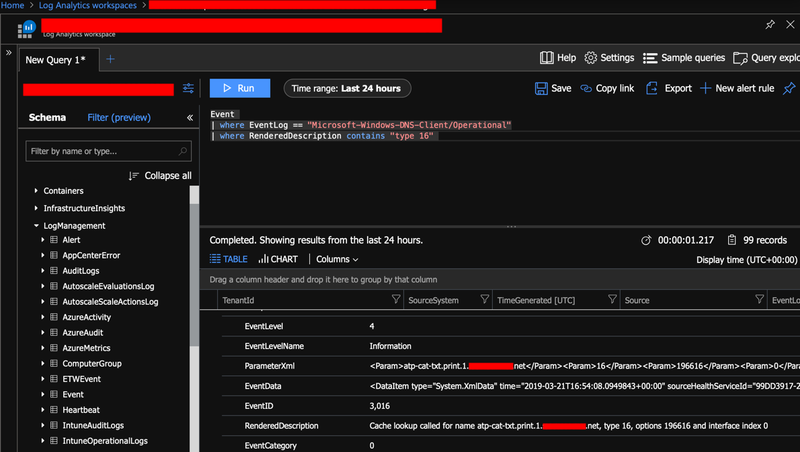 Because it uses Invoke-Expression (IEX) it does not spawn a new (child) process and therefore no extra event is created in the security eventlog. 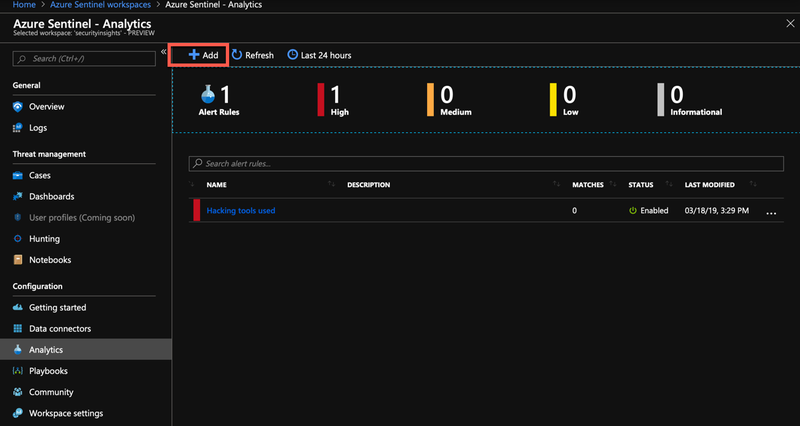 | whereRenderedDescription contains "type 16"
PRO TIP: make sure you map the entities as part of the rule creation — this is a very important step since this will enable the investigation experience that will be released soon as part of Azure Sentinel! PRO TIP: clicking the number under “Hits” (in this example: 110) will bring you to the actual query to see the events that triggered the detection. A potentially better approach for enterprises is to block DNS / port 53 traffic at the edge by default. This ensures that all port 53 traffic has to go out via the corporate DNS servers, providing a central point for logging. At that point it is sufficient to do centralized logging on the DNS server itself. Without central logging, or if you do allow DNS traffic at the edge, client-level logging is valuable for detecting DNS tunneling attacks. 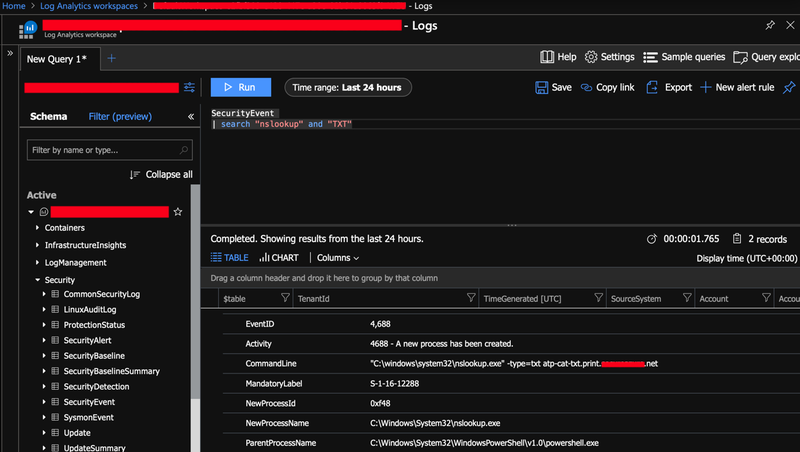 Client-level logging also means you directly get the name of the impacted host in the logs, which is an added value for Threat Hunting. 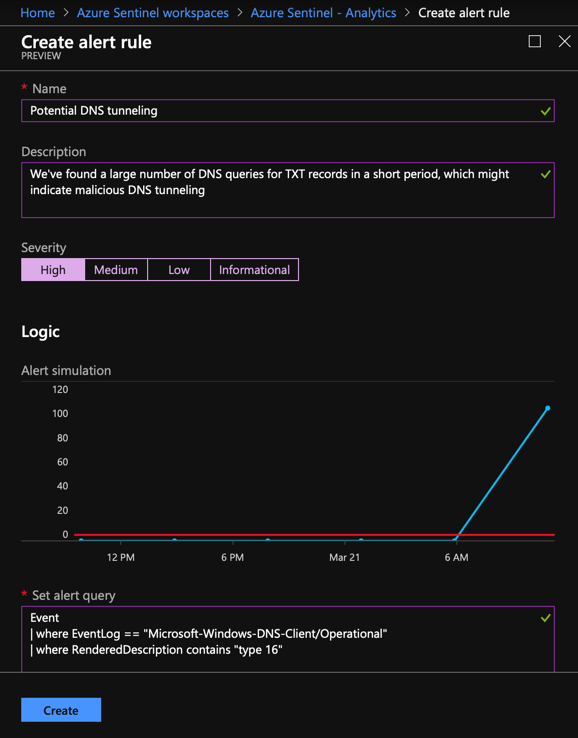 While DNS client logging wasn’t there out-of-the-box, Azure Sentinel makes it easy to start detecting the DNS attack vector.